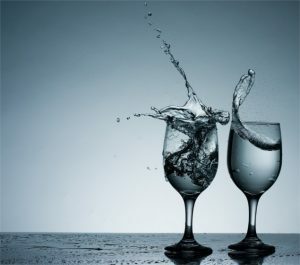 Between 5 and 6 percent of all U.S. adults and teenagers suffer from diagnosable alcoholism or the overlapping condition of non-addicted alcohol abuse. In addition, millions of Americans who don’t qualify for an alcohol-related diagnosis drink to excess at least on occasion. The social consequences of alcohol are well-documented. They range from avoidable death and increased healthcare costs to family disruption, increased risks for poverty and lost workplace productivity. All told, tens of thousands of lives are lost each year, and the country’s economic losses reach a total of hundreds of billions of dollars. If you or your loved one are suffering from the social or personal effects of alcoholism, treatment at a reputable inpatient or outpatient facility can help you recover and avoid serious harm. For more information on facilities in your area, call (888)-459-5511 today. Periodically, the federal Centers for Disease Control and Prevention (CDC) release statistics on the total number of Americans who die each year from short- and long-term alcohol-related causes. The most recent CDC figures point to a death toll of roughly 88,000. Short-term health problems kill more people than long-term health problems. In addition, men die from alcohol-related issues more than twice as often as women. The social effects of alcoholism and alcohol abuse also put a major strain on the American economy. In fact, for every serving of beer, wine or liquor consumed throughout the country, the estimated cost to society as a whole is slightly over $2.00. 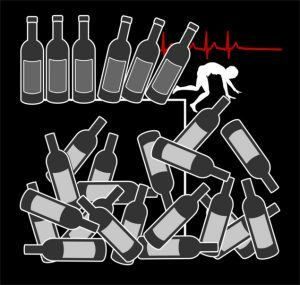 More than two-thirds of this economic damage comes from a practice called binge drinking. Binge drinkers reach a legally intoxicated state no more than two hours after beginning a session of alcohol consumption. Roughly 17 percent of U.S. adults binge at least once in a given month. The agency’s latest available figures indicate that the healthcare-related toll of alcohol use is approximately $28 billion a year. 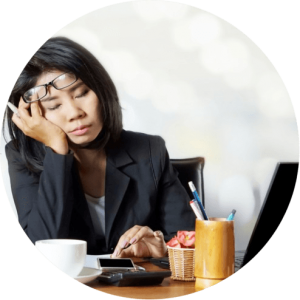 Lost workplace productivity accounts for the greatest loss at $179 billion a year. Motor vehicle accidents cost the country about $13 billion annually, while crime and the needs of the criminal justice system produce a burden of about $25 billion. These figures point to a total impact on society of roughly $249 billion a year. In addition, partners and spouses of alcoholics and alcohol abusers have heightened risks for stress-based health issues. Children of alcoholics also have an increased chance of developing their alcohol problems in later life. Researchers place the level of risk at anywhere from four to nine times greater than the risks for children not raised by alcoholic parents. Binge drinking, in particular, boosts the risks for many of the most severe alcohol-related social problems. Most bingers are not alcoholics, but repeated participation in this form of drinking leads to a significant increase in alcoholism risks. Depending on the situation, aggressive and violent behavior in intoxicated people can vary significantly. When engaged in small disputes, people under the influence of alcohol react aggressively only a little more often than their sober counterparts. However, when engaged in serious disputes, intoxicated people have a far greater tendency toward aggressive and/or violent outbursts. There is a known link between economic status and the chances of developing alcoholism or non-addicted alcohol abuse. 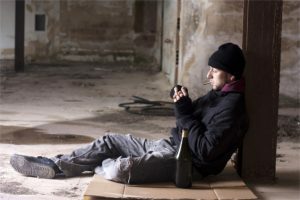 Simply put, people who grow up in impoverished areas have a higher risk for alcohol problems than people who grow up in middle-class or affluent areas. Within a family that lacks financial resources, the expense of purchasing alcohol can create a serious strain and reinforce the burdens of poverty. Alcoholism and alcohol abuse can also reinforce poverty by contributing to absenteeism and erratic performance of job responsibilities. The social effects of alcoholism are clearly far-reaching. Unfortunately, in any given year, less than a third of the millions of Americans with alcohol problems will get the help required to achieve sobriety and reduce their exposure to harm. 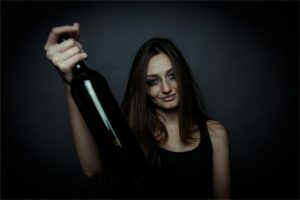 In practical terms, this means that thousands of the nation’s adults and teenagers will continue to die from preventable alcohol-related causes. It also means that the U.S. will continue to lose billions of dollars annually through workplace disruption, healthcare costs, and other economic factors. On a family level, alcoholism and alcohol abuse contribute to everything from parental strife and violence to household instability and increased odds that children will later become alcoholics themselves. On a social level, heavy drinking can lead to a variety of harms, including sexual assault and accidental death. In addition, alcoholism is a concern in impoverished communities and can contribute to future risks of poverty. Is alcohol abuse a social problem? Absolutely. Even in the absence of clinical alcoholism, people who establish a lifestyle built around drinking can experience serious social harm. They can also contribute to an environment that causes harm to others. In fact, on a financial level, most of the negative social effects of alcohol are a product of non-addicted binge drinking. Enrollment in suitable alcohol treatment can help prevent some of the worst social and personal outcomes of alcoholism and alcohol abuse. For more information on the options available to you or your loved one, call (888)-459-5511 today.